Courtesy of Rory Fitzgerald and Kate Steels-Fryatt, Snowdonia. Since last week's article on History's Hardest Swimming Workouts, swimmers have been explaining their own most difficult workouts. Two British swimmers - Rory Fitzgerald and Kate Steels-Fryatt in particular - have devised and completed their difficult series of workouts. Fitzgerald has completed several tough workouts over the course of his career, but the focus of his training in recent years has been on developing his cold water tolerance. He explains, "I regularly do a fast pool set between 4000m - 5000m with my swimming club. We love visiting Snowdonia as we can hike to beautiful remote lakes for ice swimming training - and invariably have the most tranquil lakes to ourselves." So far, so good. But then Fitzgerald purposefully intensifies the challenge. "This pool workout is followed immediately by a short brisk walk from the indoor heated pool to the River Itchen for a further 30 minutes or so in somewhat more frigid water (down to around 2°C in winter). The contrast is both exquisite and intense. I have tried the double session in reverse, but found the change from cold to hot quite debilitating, such that I gained no benefit from my pool swim and felt a little unwell – I suspect that going from very cold water to a warm pool is somewhat dangerous." But together with Steels-Fryatt, Fitzgerald elevates the uniqueness and difficulty of their training. 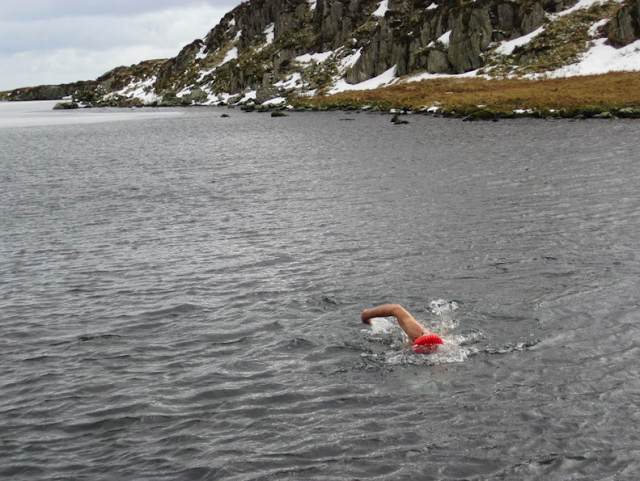 "We go up the mountains of Snowdonia [in north Wales] for some winter swimming training. This has involved lengthy hikes with full packs including flasks of hot water, layers and so on, up some of the highest peaks in the land, to find some of the coldest water in the land – although not as cold as we had anticipated. Water temperatures were only down to 3°C at altitude, where we have then taken to the water for 15 to 20 minutes of hard swimming before packing up and moving on to the next lake. The hikes across mountainous terrain are enough to reheat and ready ourselves for the next swim. We were managing three swims a day whilst there, all in preparation for the Great Britain Ice Swimming Championships later in February." Fitzgerald has always pushed himself. 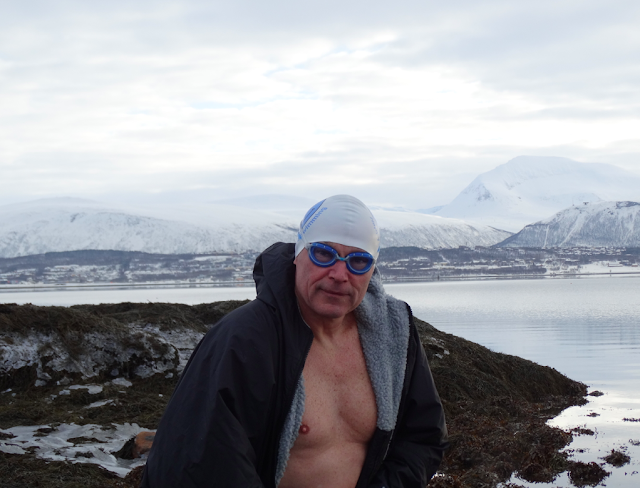 "Prior to taking to ice swimming, I had completed several 24-hour swims – where we swim 1 mile on the hour, every hour, for 24 hours, the first in an indoor heated pool, which resulted in chlorine burn. Most of the swimmers became quite ill from the fumes – and latterly in an outdoor lido which, although the water was much cooler, at around 16°C, had much better ventilation." With so much affinity for hard training, it is expected that Fitzgerald has attended Ned Denison's Cork Distance Week . 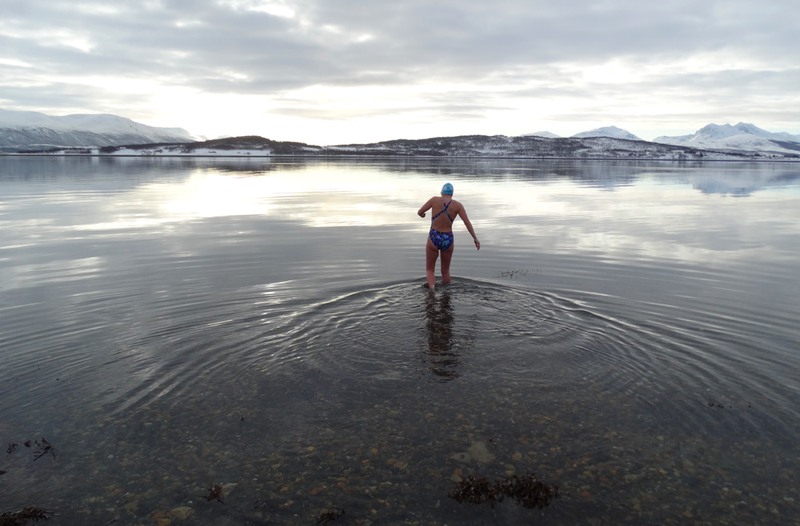 "It is an excellent training week, especially if you are able to take advantage of the various competitions which happen around the same time – the Lee Swim and Loch Allua Swim. The camp isn’t just about swimming – it is also about stopping Ned pushing you into bridge supports or running you into the bank in an effort to gain advantage." In addition to unique ice swimming challenges, the world's most difficult marathon swimming training camp, and his 24-hour swims over the course of his career, Fitzgerald has also taken on the 100x100 swim set, going off a reasonably relaxed 1 minute 45 second as a New Year gut buster a few times. But Fitzgerald believes the hardest training sets were those set by Freda Streeter in Dover Harbour while he prepared for his English Channel swim in 2013. He explained, "Over the course of several weeks, she built up the sessions from 3 hours followed by 4 hours the next day on a Saturday and Sunday, ploughing back and forth across the harbour, to 6 hours followed by 7 hours non-stop, with just the occasional jelly baby for sustenance. The idea was that by doing something so mind numbingly tedious, in such an awful place (Dover Harbour is never the most salubrious swimming venue), when the time eventually came to strike out from Shakespeare Beach, it would seem like a pleasant walk in the park - and it worked." Fitzgerald's scope of experience is vast. "The BLDSA Champion of Champions event provides a similar experience in Dover Harbour. This involves a 5-mile race, followed by a 3-mile race followed by a 1-mile sprint around the buoys. 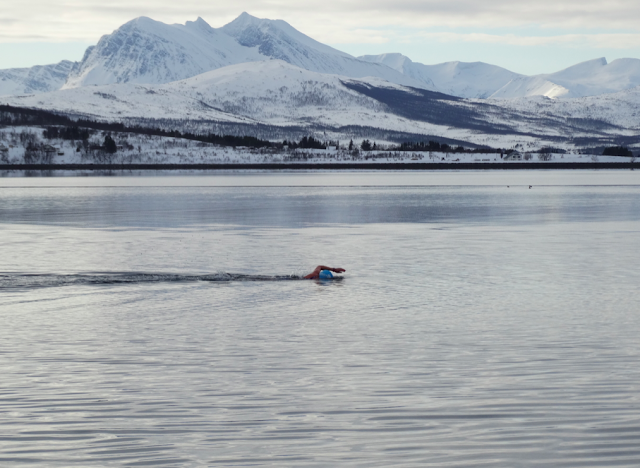 I have taken part a couple of times and found it excellent preparation for longer swims in open water, again because it is such hard work in the harbour and because they run the event early in the season with water temps around 12 or 13°C. Other distance events seem much more comfortable in comparison." Fitzgerald's penchant for punishment is renown. "One of my favorite training venues is the Isle of Man in the middle of the Irish Sea – around 30 miles long and a similar distance from both England and Ireland, the Isle of Man has some spectacular coastline and a lot of curious, interesting wildlife. I have taken on an end-to-end swim, both in relay and as a solo, but in stages to beat the currents, swimming and camping with shore support over several days, swimming 2-4 hours twice a day. Again, the water temperatures were challenging at around 11°C, but even more challenging were the jellyfish – huge numbers of large Lion’s Mane, and the curious seals which nip your feet - and the enormous basking sharks which simply scare the whatever out of you as they glide past in the clear water."